Hi everyone!! Check out the new awesome Halloween colors Trendy Twine released today, I'm totally loving them all!! For my project I used both the Trick or Treat and Spooktacular, the colors are truly amazing. 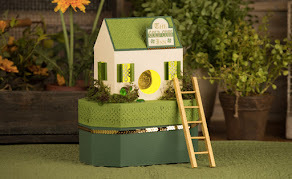 I had so much fun making this, those skinny treat boxes are my new favorite treat holders. They are very study and make a really nice candy arrangement. The colors of the Spooktacular are so pretty together, it's one of my favorite color combination. And I used the Trick or Treat to make this cute spider, the rich bold colors really make his legs pop. 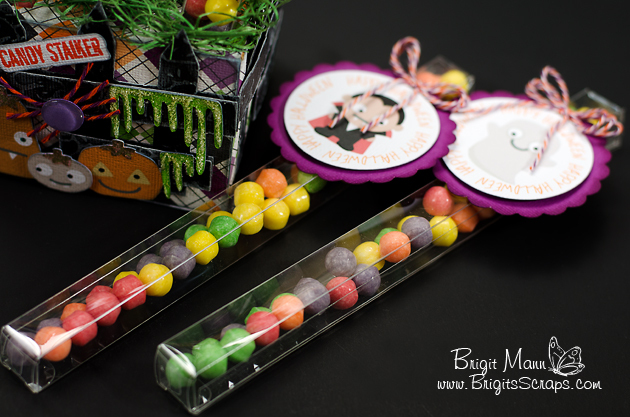 Here's a good look at the skinny treat boxes, great for all types of party favors. 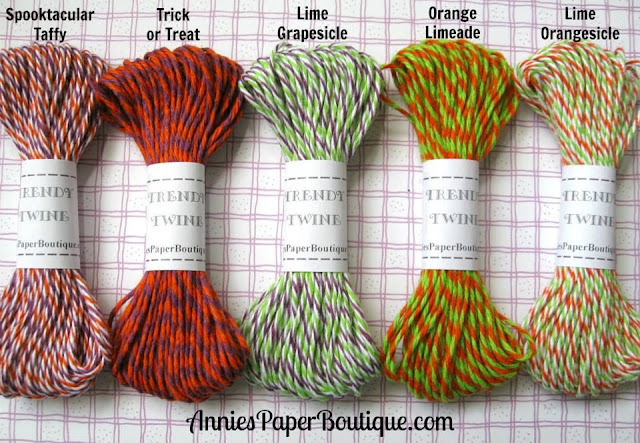 The minis are also in the store, Trendy Twine does it again, fantastic colors!! The holder for the treat boxes is from SVGCuts For My Valentine kit, I just made 8 square holes a little bigger then 5/8" and staggered them, they fit perfectly. 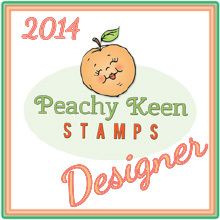 The rest of the files are from the Spooky Cuties collection, I did a print and cut for the tags and little pumpkins. 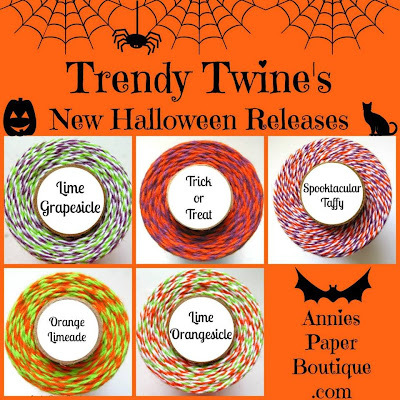 Well I hope you enjoyed my project, for more wonderful creations check out what the talented design team made using the Halloween colors over at the Trendy Twine blog. Seriously your creation looks Amazing Brigit. I just love everything about it. This is AWESOME my friend!! WOW what a GREAT project!!! Thanks for sharing and have a GREAT weekend!!! oh my goodness...this is adorable!!! 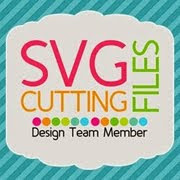 !..and I have all these files so I will be "scraplifting" this idea for sure!! thanks so much for sharing!!!! These are the cutest things EVER!!! 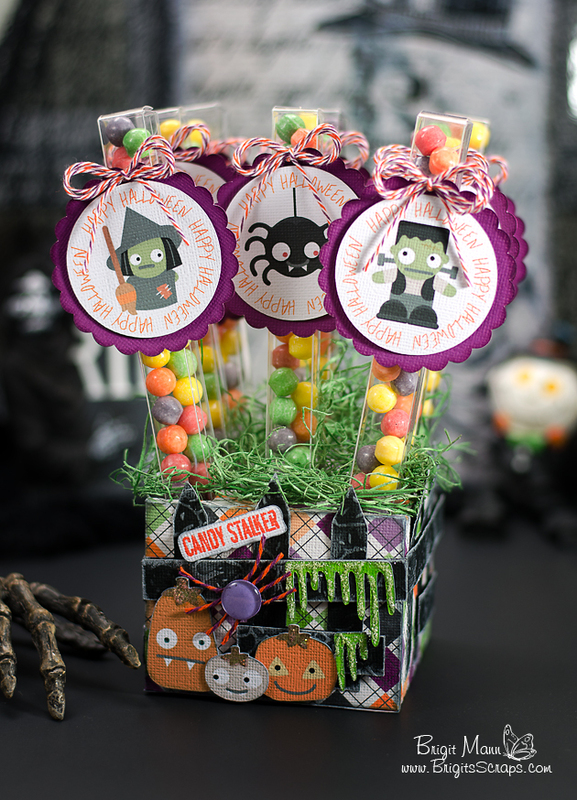 I'm loving the skinny teat boxes and all the wonderful Halloween colors. Perfect spooky gift. You rocked it with the twine. TOTALLY cute! !I just LOVE this! Those treat boxes look fabulous! I just love all of the details you added! this is sooo awesome, Brigit!! I am not surprised though, all your projects are great!!! These are so darn cute, Brigit. Love the sweet little tags. And that box is a perfect holder for the candy boxes. Thanks for being a part of the Halloween release. 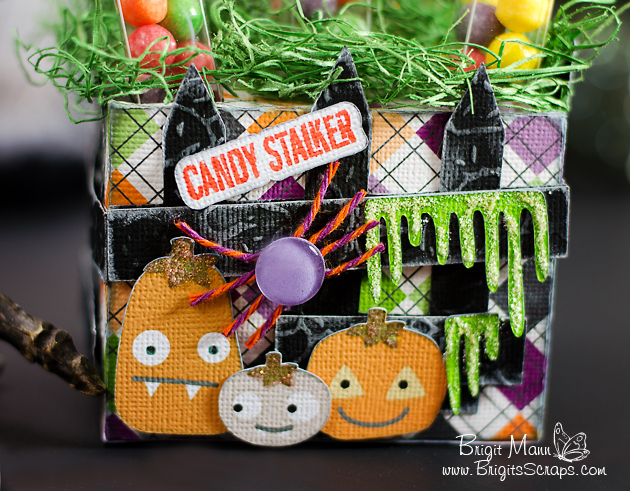 Fun treat boxes! I love the new twine colors too! Very cute! Always fun projects! 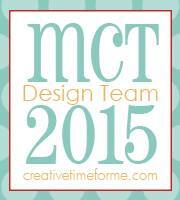 these projects are amazing Brigit - love them all, so colourful and fun! I adore this like you just don't know! 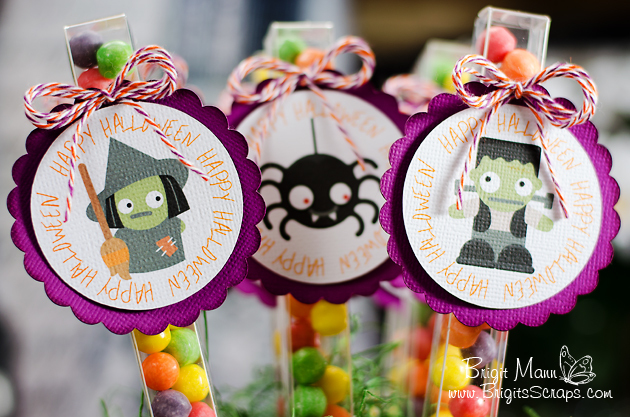 I am in love with halloween projects and yours is so stinkin cute and everything about it is perfect! OMGosh I love this Brigit!! I love that box and those cute little characters on the scallops!! Do you print all the images even the paper on the box??? Hugs!